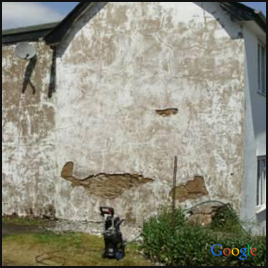 Cement render is one of the worst enemies to old buildings with regards to dampness. Giving a coat of cement render in order to stop water from getting into stone or soft brick walls will actually lead to more damp. Rendering on the exterior walls of buildings gives a tough coating intended to protect the bricks which the walls are made of. Finding cracks on the outside of your home is a worse experience. Only by a thorough professional survey we can make certain of the extent of the cracks. Often these cracks lead to more and more damp issues. Our expert team can solve all your rendering related damp problems. Sometimes a little patch work here and there would do it, but sometimes, you may have to go for a complete re-rendering. No matter what the scenario is, you can count on us to counter all sorts of rendering damp.